Dr. Tower is a gentle, family dentist who uses the most advanced materials & procedures available. He practices comfortable, caring dentistry focused on establishing optimal health, with a strong emphasis on getting to know each patient. In addition to his technical proficiency, Dr. Tower is a careful listener & will explain beforehand which treatment is best for your individual needs. 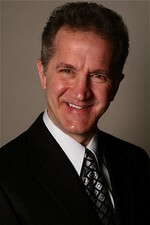 Dr. Tower received his doctorate from the University of Illinois. He has since taken many continuing education courses, including those in cosmetic dentistry, dental implants, TMJ treatment & Sleep Apnea. In addition, Dr. Tower is a member of the American Dental Association, the Illinois State Dental Association, the Chicago Dental Society, the Chicago Dental Study Club, & the Nobel Biocare Implant Study Club. Dr. Tower looks forward to showing you the ways in which exceptional dentistry can improve your life. A personal message from Dr. Tower: "Your comfort & satisfaction are our top two priorities. We look forward to meeting new patients & developing a relationship with them to build the bridge toward long-term trust & successful dental care. My team & I invite you to see why our patients can’t stop smiling!"